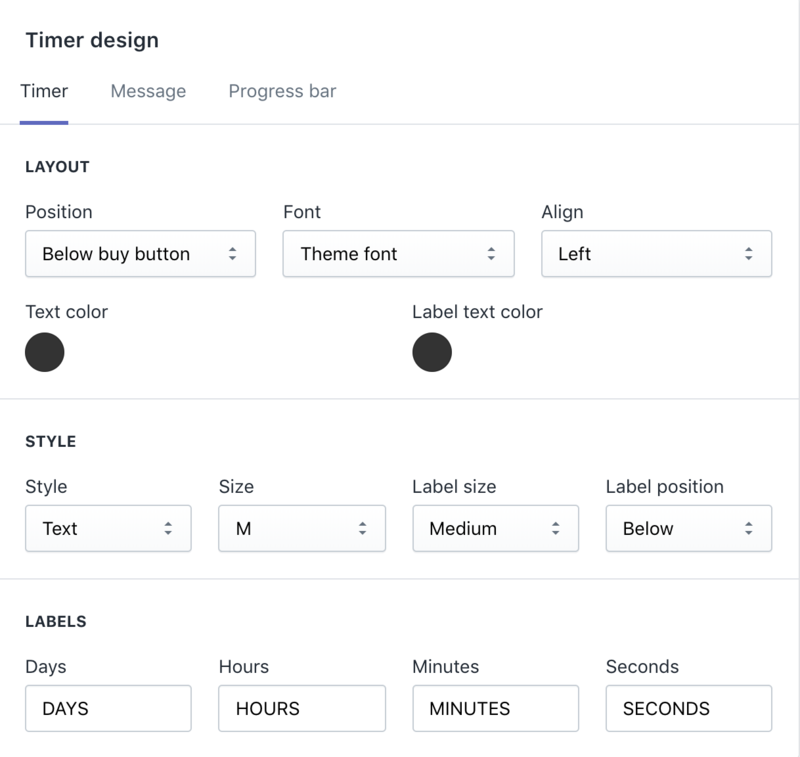 In the section labelled Timer design, there are considerable options to customize the look and feel of the timer. To update the Timer settings, make sure the Timer tab is selected. The timer can be positioned at the top or bottom of the page and above or below the add to cart button. If your theme already displays a banner across the top or bottom of the page, a different position should be selected or it may be displayed over the top of the existing banner. The timer can be left, center or right aligned and there are various fonts to select from. The timer and label colors and be selected separately using the color pickers. There are six styles of timer. Each style has its own unique settings to fully customize it. The labels for days, hours, minutes and seconds can be customised.